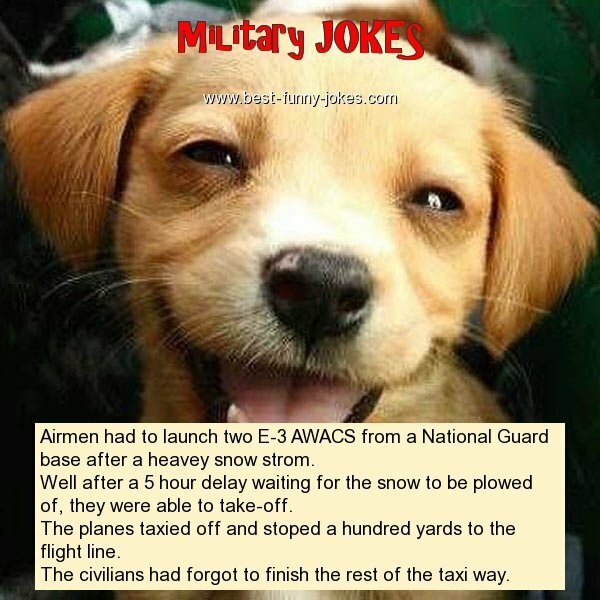 Airmen had to launch two E-3 AWACS from a National Guard base after a heavey snow strom. Well after a 5 hour delay waiting for the snow to be plowed of, they were able to take-off. The planes taxied off and stoped a hundred yards to the flight line. The civilians had forgot to finish the rest of the taxi way.